If you've got a special event coming up, or have a desire for all things designer, I've found 2 gorgeous modest dresses which will keep you covered up but still ooze luxury and elegance. 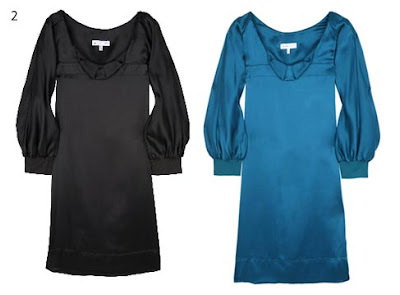 This black embroidered shift dress from French Connection had long sleeves and a very modest neckline. The contrast in the embroidery colours against the black really gives this dress a sparkly but understated look. This dress retails at £200.